Size and location helps. Surrounded by the towns of Lancashire and close to Cheshire and Yorkshire, Manchester is the centre of the second most populous urban area in Britain. George Osborne likes its entrepreneurial spirit but the Peterloo Massacre happened at St Peter’s Field in Manchester. In 1819 a cavalry charged into a crowd of 40,000 cheesed off people who demanded parliamentary representation. 15 people were killed and hundreds were injured. Journalists were horrified by the slaughter. The Government was also outraged. They did not like the idea of so many Mancunians thinking that Britain was not so great after all. The Massacre led to a crackdown against public protest. Resistance continued. Engels and Marx helped. They met at Chetham Library in Manchester and discussed what should happen next. Benny Rothman no doubt read Marx and Engels in his Manchester home. He was a member of the Young Communist League. He organised the mass trespass of Kinder Scout in the Peak District to help achieve access of ordinary people to the English countryside. Benny thought ordinary people should have a look at the land that had been stolen from them. There was no cavalry charge but violent scuffles happened between protesters and gamekeepers. Protest persisted, and the British now have a right to roam on open access land. Benny should be proud. 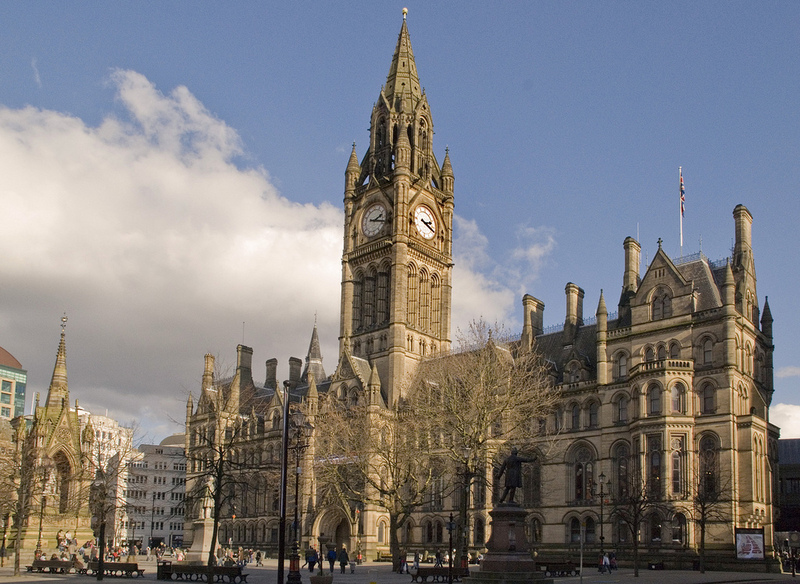 Manchester attracts tourists and visitors. The City is not a cohesive attraction but plenty of spots appeal. Manchester Town Hall is the best Gothic building in the North, and its Grand Hall has splendour that compares to anything in Europe. Piccadilly Gardens is an architectural mess but Albert Square has integrity intact and seductive charm. Canal Street has become the centre of a large gay and lesbian community. 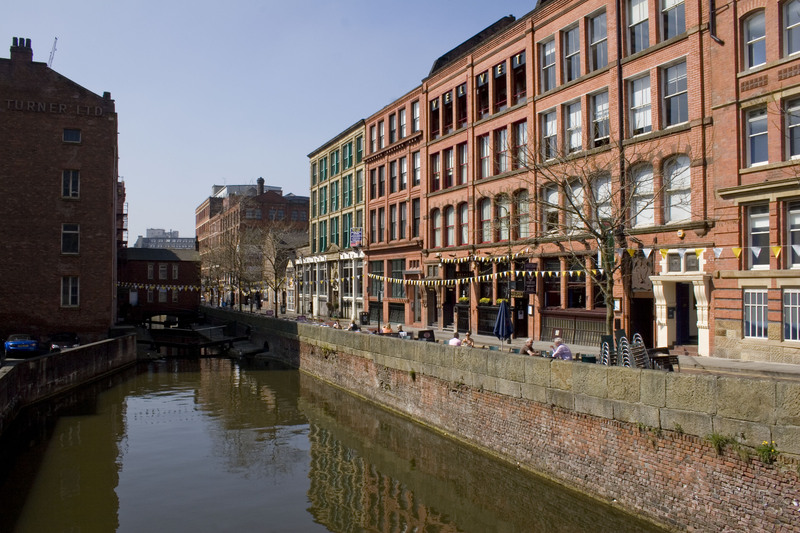 Canal Street is about the celebration of identity but elsewhere the canals of Manchester provide quiet retreats from the crowds. Manchester once envied Liverpool because of the Beatles but it recovered well. Morrissey is charmless and witless yet he has his devotees. I was told that Manchester music is best defined by the Smiths, New Order and Joy Division. The Salford based soap, Coronation Street, has been in decline for a long time. At its zenith it portrayed city life as well as Charles Dickens. Liverpool and Manchester do not coexist easily. More than a few Liverpudlians think that the Manchester Ship Canal, built between 1888 and 1894, was a serious error. The Canal was used to drag cotton from the Port of Liverpool towards the cotton mills of Lancashire. I worked in Manchester for six years and realised that conflict exists not between opposite tribes but those who most resemble each other. Manchester and Liverpool are the two cities of Britain where a majority of the middle class vote for a better deal for ordinary people. The great Marxist literary critic, Terry Eagleton, was born in Salford and he has a home in Manchester. He hates football, which he thinks helps keep people stupid. Whatever its merits football ensures that an antagonism will remain between two groups of people who have much in common. Manchester has two football teams that play in the Premier League. One of them plays in blue. Posted in Albert Square, Beatles, Benny Rothman, Canal Street Manchester, Coronation Street, Engels, George Osborne, Grand Hall Manchester Town Hall, Kinder Trespass, Manchester, Marx, Morrissey, New Order Joy Division, Peterloo Massacre, Smiths and tagged Amazon, Culture, tourism, travel, UK history, United Kingdom on July 25, 2015 by Howard Jackson.